Construction, which is 90% complete, will end in April, 2017. 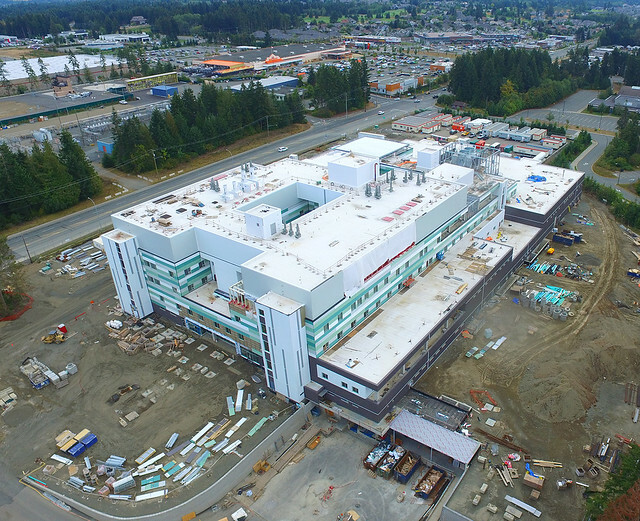 The new North Island Hospitals will open to the public in September, 2017, following the completion of clinical equipment installation and staff training. Over the life of the project, construction of the new facilities will create an estimated 2,200 direct jobs and more than 1,400 indirect jobs. Monthly employment figures peaked in April, 2016 with more than 1,000 workers, including 290 apprentices, working at the two sites. Roughly two-thirds of the workforce is local and approximately 92 per cent from Vancouver Island. The economic and social benefits of construction have extended well beyond employment and job training numbers. The project to date has purchased in excess of $165 million worth of equipment, products and services from a wide range of Vancouver Island companies.